No Time for Sergeants by Marc Hyman. New York. Random House. 1954. Sixth Printing. Hardcover. Good in Good dust jacket. Bookplate. DJ is worn and torn at edges. DJ is missing large piece at top edge on back. 214 pages. 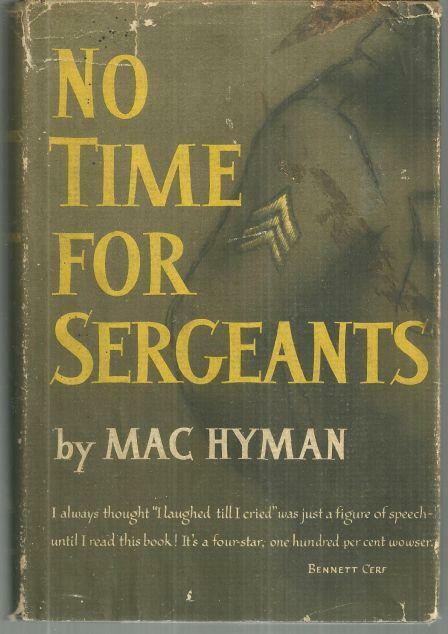 Items Similar To "No Time for Sergeants by Marc Hyman 1954 Vintage Military Novel D..."